I'm with Dr. Nick Consoletti at Grand Lodge in Forest Grove. We drove through a lot of Intel territory getting here. Now we're both on the wifi, catching up, a working breakfast. I Facebooked about some of it. Medard has a blog. Myopia versus Utopia is one of the posts. Picture of Kenneth from 1959. Lots of news from Synergeo, which I haven't been monitoring, having switched over to Koski's list for the most part. I need to forward Tre's request to the Clerk, that MMM fund at least a portion of his budget for getting into the voter's pamphlet as OPDX mayor. I use OPDX and PDX somewhat synonymously in this context, as the latter is the embodiment of the former. In calling it the Blue Tent, I'm calling attention to the earlier Westward Ho! type would-be occupiers who made it this far. They tended to be tough and self reliant, but also more tolerant and welcoming of other peoples, having suffered so much just to get here. That accounts for some of our cosmopolitan ethics -- another New Amsterdam (unlikely to succumb to the Yorker types this time). Friends have some of that anarchic flavor that Occupy Portland had going, with long experience at self administering, both regionally (NPYM) and globally (FWCC). Alex and I had a wifi work meeting recently, both plying our respective tracks. He was more into hardcopy actually. That's when I forgot to mention about Tintin. You might find Bader at such a meeting, if not away. I'm still just learning how to use the new Air. Costco after this, as Blue Tent needs restocking. Sarah-the-dog had a play date with Sarah-the-corgi yesterday. Walker has taken to walking Sarah and she's always welcome where Portland Energy Strategies is concerned (her anti-consumer based ethics, similar to Reverend Billy's, are fascinating to psychometricians, especially in Japan where the trend may be even more pronounced). Ecovillages frequented by FNB style "girl scouts" will need to be tight ship operations to satisfy their owner-operators. I can well imagine more wasteful, less disciplined bases, such as the US Army might administer, coming under fire for their less-with-more waste stream. Documentary film crews might compare them, in terms of training provided. Alternatives to Violence and PBI have much in common, as does the Amnesty International approach to preventative protection (don't wait for a tyranny to over-reach, move in early). Our ecovillage school campuses, in being safe for diplomats' kids, also serve as channels of communication between estranged regions. The situation might involve Ireland, or Utah. Anna from Alaska on the Droid. 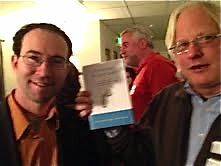 I just pre-ordered Edward Popko's new The Divided Spheres, in early draft of which I scanned in Magnus Wenninger's office. He wrote back appreciatively, reminded me I'm in the book. If your kid is Palestinian and needs a family visit, the bases network might be pressed into service on your behalf. Stay close to the tarmac and don't tell the locals you're fomenting a family reunion. Medical leave is an important aspect of serving one's community, including one's nation-state if that's the duty one signed up for. Tonight is the Academy Awards. I may find a screen somewhere. Maureen wanted me to see The Artist today, but she didn't know about the ODEC training. Good hanging with Bunce & Co. last night. Lots of movie and TV talk. Portland knows media, especially comics and animation (Dark Horse is here). ToonTown, some call us. We didn't make it to a 3D rendering, all the better to compare apples to apples, when thinking of other illumined worlds (anime). The movie asks, right from the top: how do you like my Tintin? Then the movie really shows off: look what it can do with light. Mirrors, magnifying glasses. Serious students of optics captured a lot of it in their mathematics, and it didn't all leak away. We use it to computer generate and share what's in our imaginations, as well as to prescribe lenses for ourselves. 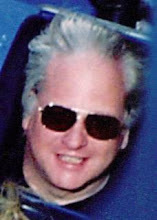 The movie (a snaking twisting scenario, always fast moving) makes fun of his signature tuft of hair. We get used to the character, comparing it with our memories of the comic book if we have any. I do have such memories, as I'd poured over Tintin as I had Mad Magazine and many others. Nestro made a deep impression as the butler. Shades of Batman. This new ability to animate worlds, based on characters developed by artists past, is a stellar direction in which to be pioneering. There in The Avalon, I was seeing the state of the art unfold. A couple o' geezers (as Jane Snyder calls us) in future-ville. Then we played retro games. I got the biggest kick out of being a long haul North American trucker, from a Japanese point of view (some of those trucks you just wouldn't see on a standard stint). Captain Haddock was formative in my characterization of Captain Wardwell, and that forced me to keep looking at Tintin and deciding what I didn't like about him. He's eerily action-oriented, this guy, in hot pursuit of his story. He's a story chaser, that's his raison d'etre. One can't dispute he's good at his job, so he wins high marks for professionalism, if that's really what a journalist is. One never reads what he writes for the newspaper. They haven't invented TV yet, in that world. He's like one of the first one-named celebrities, like Madonna, like Prince. Everyone knows him, they say, in his home town. Tintin reminds me of this girl Sintel in the Blender anime -- very single minded and agile in pursuit of goals. Now that's giving him a lot of credit, more than I usually do. Credit Spielberg and his crew. Anyway, I'll be curious to check this out in 3D someday maybe. Alex, you've gotta see this. 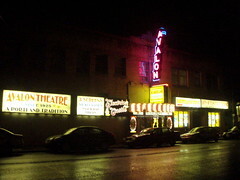 Avalon flashes by in the opening credits of Portlandia. Consider it a tourist destination if from out of town and doing the off-beat "real Portland" tour. Go at night, foggy is best, and savor the outdoor lighting. The practice in many branches of the Religious Society of Friends is to reflect on the spiritual health and/or unhealthiness of the meeting and capture some of the tensions, joys, anticipations, in the form of a write-up called the State of the Society report. You can see where the US Americans might have copied, with their SOTU et al, or maybe we got it from the Iroquois originally, I don't remember. After several hours of intense discussion, I released myself to walk down the street to inquire about San Miguel beer, a beverage from my young adulthood not often consumed in these parts. Lo and behold, they had some, so I took it to Steve's place, where he was doing his usual international Skyping and guitar strumming (good to be home again -- he's been away in Minneapolis). I've got a drive out the gorge tonight, further than Hood River, to fetch some young Quakers and return them to Portland safely. I need to get out my maps and plot a course. 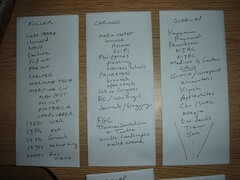 What we discussed is confidential for now, but of course we surveyed the timeline, pointed to various events. The delegation to Nicaragua was important, as was our involvement with the Occupy movement. We're also looking at many recent deaths and memorials. This is an occasion for Worship and Ministry, and the Committee on Oversight, to get together and compare notes. The annual joint meeting is written into the script, as is so much of our yearly routine. We call ourselves "unprogrammed Friends" but of course that's a relative term. We're all running programs, says the engineer within (who has truth within too). Friends up here always ask for news from Whittier. We keep tabs on one another that way. This touchdown was in contrast to fumbling the ball last time, and forgetting my appointment to present at 3Ms, our noon time potluck for MMM oldsters, mostly (MMM being Multnomah Monthly Meeting). I'm an oldster now myself, so this was also a welcoming. A lot of us there went back a long ways, to being almost babies together: Linda Holling, Lael Pinney -- these were my contemporaries, and long time no see. Bob Smith was already an adult when I was a baby, and he was there too. I'd listed my talk on the backs of five envelopes, an ironic gesture to a cultural meme (we're supposed to brainstorm on napkins more than envelopes, Kehrnan signaled his agreement). Envelope One was about me, the inveterate browser, anticipating hypertext. I loved Princeton's open stack libraries. Those international schools left their stamp on my character as well. The next envelope was about Fuller, the New Englander, expelled from Harvard, loving the Navy, going broke, getting better, the inveterate counter-culture contrarian. Our overlap (next envelope), and the people I've met as a consequence: Applewhite, Snelson, Koski, Chu, Kasman, DeVarco, Lanahan... Trevor. A great ride. 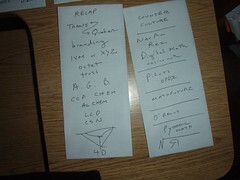 Then looking ahead, how I brand a kind of Transcendentalist / Tantric blend, using LCDs with reveries (as in hypertoons). We were moving in to Q&A. Marion asked about shelter, Lew about buckyballs... lots of good segues. About 25 - 30 of us. I had lots of books, toys, artifacts, Barrel Tower (also the major Snelson retrospective in my collection). Marty was there, knows a lot about transcendentalists I'm pretty sure. A great group to be listening. I'd packed 'em in, thanks to Sonya, various announcements. I fumbled later though, in that I got Tara to her driver's ed session on time, but then she left her permit in the car, which I drove off to a wifi spot to work for two hours. If I'd only heard my phone or checked my personal email (reasonable expectations) I'd have been able to get the permit to her in time. As it was, she missed getting to drive. I'd been scheduled to clerk Oversight that night and had made arrangements with Betsey to be late, but to be late on top of having botched the mission (ostensibly) left me a bit stressed, bent out of shape. I raged at the fact that I couldn't see house numbers on a dark street in North Portland (looking for the meeting in a neighborhood I've never visited). Never mind the satellite informed GPS device in my pocket, with illuminated maps -- I was too busy being a victim to actually use my tools effectively. Still, a good day all in all. I had another dinner with Alex, first in awhile. He's been meditating up a storm, making use of some of the professional Zen facilities in the region. The Pacific Northwest is a Buddhist nirvana -- even better if you like beer. No NFL for me this season, as in football, not forensics league. Athletes in the latter guild I salute as "second to none" in my pro-student rant on Math Forum today, taking issue with some LA Times journalism. Just another citizen, sounding off. Sampling the Python buzz, if pycon.org.ir wants a pointer from ir.pycon.org, all they need do is ask. I've been informing PSF about some of my ventures, both in trucking and no-fast-food. us.pycon is sold out by the way. I got in under the wire with a promo. I've paid full price for van / hotel. This will be your typical Silicon Valley sojourn. I haven't attended a Pycon since Chicago. I'll be in Philly the week before. We'll probably do movie night again at Blue House. Melody has a sequel to Yes Men I didn't know about. The DVD on Reverend Billy was truly eloquent and I sung his praises on WikiEducator. 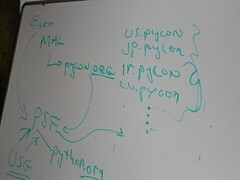 Pycon, for those who don't know, is a brand of Python circus or conference, pioneered by Steve Holden, the current PSF chairman. I started attending Pycons in Washington, DC, at George Washington University. You'll find quite a few blog posts from those. One year, a Pycon was just starting when I found out my wife had cancer and I flew home immediately. She joined me for the next one. We commemorated her death after the first in Chicago, with me and the two girls driving all night from O'Hare to Indiana, Pennsylvania. I missed the two in Atlanta. OSCON is also rolling around again and I've been reviewing talks. Really high caliber stuff. I'm looking forward to again joining. Will I make the one in Newark? I have to ask about the next staff meeting, and whether there's a conflict (I'll do that on Facebook). We may not think of ant colonies as democratic. We've decided they have "a queen" in some cases and that colors everything. A Bugs Life captures a consciousness. Ants live in monarchies. Of course that's a rather irrational chain of "reasoning", somewhat of the kind Danny Oppenheimer says you'll find if you pull any "ant" aside (say an undergrad at Princeton) and send him through Danny's lab at the Woodrow Wilson School of Public Affairs. What you'll find are things like: if the subject / ant / village idiot sits in a chair that leans slightly to the right, literally, then their political views are measurably slanted the same way. Flaming liberals tone it down and sound a tad more like William F. Buckley when right leaning. Lots of silly circuits like that. An ant is a primitive creature and mostly just says "duh" when asked to explain its reasoning. Return it to the hive though, and the miracle of self organization continues to unfold. I wasn't sure what I was getting into in going to this event, but sort of knew, because I'd been at this tap room at McTarnahan's (a HQS) for a similar Connie-organized Princeton Club of Oregon event some years back. I'd replied some weeks prior that I'd be bringing one guest, not knowing whom that would be. When push came to shove I decided to try Facebook, offering to pay the admit fee for whomsoever wanted to join me on short notice, just a few hours before showtime. Buzz Hill stepped up to the plate. He's an avid Facebook user and believes in the power of social media and networking tools to transform the ant colony. He thinks humans are at their best in conversation, different from taking orders, engaging in transactions, or bombing one another. The new media, like some of the old ones, are fostering transformative forms of interaction, especially in promoting conversations -- Buzz's brief. Dr. Oppenheimer was right there in the middle of the room. I introduced Buzz and myself as frequent attenders of meetings at the Linus Pauling House, with Linus Pauling being a proud son of Oregon and yadda yadda. Danny's and Mike Edward's tome, and the event in general (an opportunity to hear about and buy a book) was taking me back to Mike Satin's presentation at Powell's on Hawthorne. Had Danny ever heard of that book, I wanted to know. Buzz and I drifted on back to the beers (he just had diet Coke) and I asked if his smart phone could get us to Satin's book on Amazon, so that when we drifted back to the author we could have a Part 2 discussion of book marketing and how it's smart to visit a few other book web pages when buying, as Amazon pays attention to that and alerts more browsers to the "also bought" option (might be Democracy Despite Itself, our focus this evening). Danny thinks that even though the individual ants behave in irrational ways that key of metaphors and precessional cues, ala George Lakoff, there's still feedback and participation and the phenomenon of self organization. Democracies are more robust regardless of how weakly the voting piece might be performing. You could disconnect all the levers and just randomly toss people into office, but as long as the people felt some sense of responsibility, they would behave more as stakeholders, which means a "sense of the meeting" (Quaker talk) would guide them to support the colony in a push-come-to-shove world. I bought the book, it's only the next morning so I won't claim to have read it yet. I checked the index for Bucky Fuller and Ludwig Wittgenstein, something I almost always do for "sweep of history" kinds of books, plus the latter was a philosopher of language and I wondered if psychologists were picking up on that at all. Couldn't there be some ants, seemingly even more irrational than average, that served as a source of cues. I was thinking of so-called "opinion leaders" or "movers and shakers". Danny claimed he used his powers as a psychologist only occasionally and in a benign manner, had only rarely been "tricky" in an almost magical way. But not everyone has those scruples, or thinks exercising psy-powers is a bad thing. They feel it's their way of contributing to a democracy -- thinking of spin doctors here, some better at it than others. Connie said this was the 2nd best attended Club event ever. My table mates were as one might expect for Princetonians and their others, well traveled and cognizant of world history. We talked about Japanese prison camps and people we knew who'd been in them. I mentioned knowing some Japanese with American prison camp experience as well. The gentleman next to me had had a career in teaching at private secondary schools, ending up at Catlin Gabel. We talked quite a bit about the Black Mountain contingent there among the faculty. I'd joined that cabal on a couple of Thanksgivings having tracked them down through my study of Kenneth Snelson's work among others (some Freudian overlaps there). A lot of memories came flooding back, which is part of the fun of conversation. Joseph, who found my hat that time greeting me upon arrival, accepted my funds (these events just break even). Since finding my hat (again missing) and realizing it was by Paul Kaufman, he had made contact with Paul, mentioned my name, and had a hat custom made. Tim's mom Lori was there, from a class behind me. Todd had mentioned she'd be there on Facebook, interleaving with Buzz and I on my wall / profile. Dr. Oppenheimer didn't say a word about ants by the way, that was my resorting to metaphor, with the example of literal ants. Vote for me.